There is a lot of talk about the need for innovation in government – but what innovation is already happening? Where can we view the full landscape of future-focused innovation that is reshaping the entire federal work environment? Given the large number of agencies with their diverse missions and operational contexts, it is hard to find a single point of view or focus for all the innovation work happening across the federal government. To meet this need for a holistic view of the innovations happening across government, The Lab at the Office of Personnel Management (The Lab at OPM) set out to better understand the current conditions of the federal government’s innovation ecosystem. 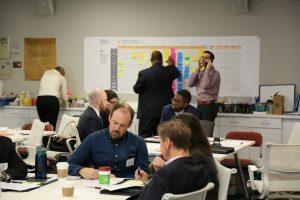 After a few months of research and conversations with individuals across government, The Lab convened government innovators to create meaningful connections and opportunities for dialogue and possible collaboration. We knew that our research and interactions had only uncovered a fraction of those doing innovation work. We hoped to use the event as a way to crowdsource a better understanding of the current state of innovation in the federal environment. We also wanted to see how the community could become stronger in supporting one another’s diverse efforts moving forward. On April 28, 2017, The Lab hosted over 40 individuals from 25 offices or innovation labs at the Government Innovation Lab Forum. Convened in The Lab’s space, the purpose of the event was to go beyond the abstract notion of innovation and understand, in concrete terms, what we each do in our own innovation universe. We tried to uncover this through three different activities: lightning introductions, defining the identity and new vocabulary of innovation in government, and mapping the innovation ecosystem. The lightning introductions were presented as “pitches” that showcased the huge variety of work and diverse ways in which different parts of the government approach innovation. For one participant, the work her office does is about “providing the best mechanism to capture, discover and share knowledge.” Another one defined his office’s focus as “leading teams to explore, design, test, and scale new solutions.” “Open-minded leadership, emphasis on exchanging ideas and inspiring innovation, and creating collaborative work spaces” was yet another point of view brought up in the lightning introductions. Innovation work is clearly innovative in and of itself – meeting organizations where they are, and finding ways to spark creativity and new ways of working. What defines innovation in your agency/lab at this moment? How do you see that evolving in the near future? For each one of those questions, we set two filters: collaboration, and constraints, so that both questions could be further qualified and differentiated, providing a more granular reading of the innovation activities we were attempting to map. Regarding collaboration, the group had an invigorating discussion around how best to find and spread internally new approaches to work. By introducing new areas of knowledge, such as lean, behavioral science or data-driven decision-making, innovators set their organizations on a path toward improving strategic projects and processes. Teams learn to explore, design, test, and scale new solutions in a more agile and adaptive way. Participants stressed the need to be evangelic about innovation and help spread the knowledge of all the different ways in which one can solve or frame a complex problem in government. Regarding constraints to innovation, a shared experience across the agencies is the inherent difficulty in determining the best medium to communicate important information about innovations agency-wide. Federal innovators struggle with the shared experiences of high email volume and overburdened websites, which complicate information dissemination. The group agreed to a shared need to find something that captures attention and gets people excited. In this session, participants designed a map to visualize the innovation spectrum in government and the areas for future partnerships and new opportunities. Participants placed their agency’s innovation activities in a matrix, at the intersection of ‘where’ they innovate and on ‘what’ they innovate. This crowdsourced data on federal innovation has been transcribed by our team into three maps that show a snapshot of innovation in the U.S. government and the adjacencies between efforts. This initial snapshot from almost one year ago is the point of departure for mapping innovation efforts over time. The Lab plans to update this map at regular intervals as a way to help the entire federal innovation network to keep abreast of emerging trends and continue connecting with each other to support the continued growth of innovation practices across government. The Lab is excited to partner with Feds and their agencies to find opportunities to integrate towards a common language of public sector innovation in the U.S. government. The Lab convening started a discussion about how to co-define a common language in innovation across government. Yet, it was clear there was more to do. In the final session, we discussed the future. A variety of ideas were presented, including developing new visuals to track how innovation evolves and pivots in the future; creating an ecosystem to “onramp” solution development to the next phase/stage of innovation implementation; and evolving toward a holistic understanding of innovation as a social phenomenon that attracts and is affected by culture. One significant take-away from the event was the need to continue to have forums for people to share what they are doing with one another. 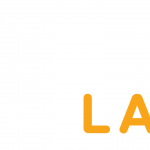 In an effort to continue to the conversation that was started last April, The Lab is collaborating with GovLoop on a blog series and set of regular meet-ups. Blogs posted monthly will spotlight the exciting innovation work happening across government. The meet-ups will provide opportunities to engage with other innovators and learn more in-depth about what people are doing, how they are doing it, and why it should matter to you and your agency. We hope you will join us at our first meet-up on March 15th from 5:30 to 7:30pm at GovLoop’s headquarters. At this session, we will focus on emerging technologies that are improving public life, and we have a great set of innovative thought and action leaders joining us. We hope that you will continue to collaborate with The Lab at OPM by attending these events and informing the content of our future events and blogs. If you’re interested in sharing what you are doing, please reach out the The Lab’s team at [email protected]. To keep up with all of the blogs and events associated with this series, check our website or join our listserve. We’re looking forward to continuing to learn from one another.